99.95% high purity tungsten wires - Buy 99.95% tungsten wires, tungsten wires, high purity tungsten wires Product on Hubei Fotma Machinery Co. Ltd.
Tungsten has high tensile strength and good creep resistance. However, its high density, poor low-temperature ductility, and strong reactivity in air limit its usefulness. Maximum service temperatures for tungsten range from 1925 to 2500°C (3500 to 4500°F), but surface protection is required for use in air at these temperatures. 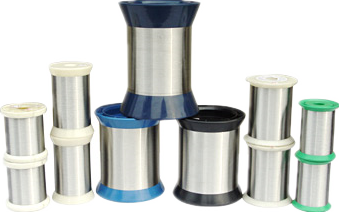 We produce two types of tungsten wire - Pure tungsten wire and WAL (K-Al-Si doped) tungsten wire. Pure tungsten wire is produced typically for re-straightening into rod products and for applications where there is a low alkali content requirement. WAL tungsten wire which has been doped with trace amounts of potassium has an elongated interlocking grain structure with non-sag properties after recrystallization. 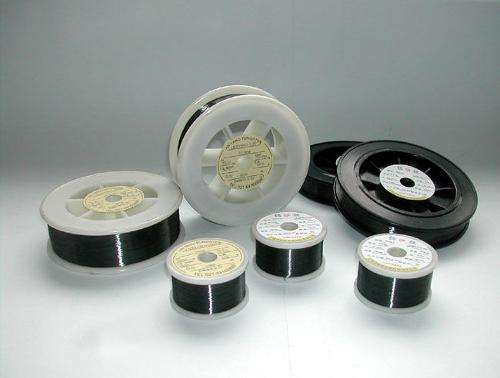 WAL tungsten wire is produced in sizes from less than 0.02mm up to 6.5mm in diameter and is used largely for lamp filament and wire filament applications. Note: Kalium should not be taken as impurity, and tungsten powder must be have been washed by acid.